This may be a little lengthy, but hang in there with me. I believe in taking care of vendors. In case you missed it World Wide Web, I believe in taking care of vendors! Even I didn't quite get this early on. So let me help you out. Coordinating a wedding takes a village: Venue, Florist, Catering, Cake, Dress, Coordinator/Planner, and of course, yours truly, the wedding photographer. Sometimes a vendor will ask the photographer to grab some shots of their flowers, or their cake. Sometimes not. But I hereby declare I does not matter if they ask or not. I know other wedding photographers feel, "I'm hired and contracted by the bride, not the florist, I'm not shooting for them or I'm being paid by the bride, not the wedding coordinator or planner, why should I give them my images? Let's think of it this way. If you have the honor of being someone's wedding photographer, are you not going to be photographing those things anyway? And aren't you not going to be editing the images for the bride's wedding album anyway? So the only additional time it costs you is simply sending the vendor the images. Let me give you some examples: At a bridal show recently, a wedding florist had a very unique bouquet that she designed. It's called an Heirloom Bouquet. 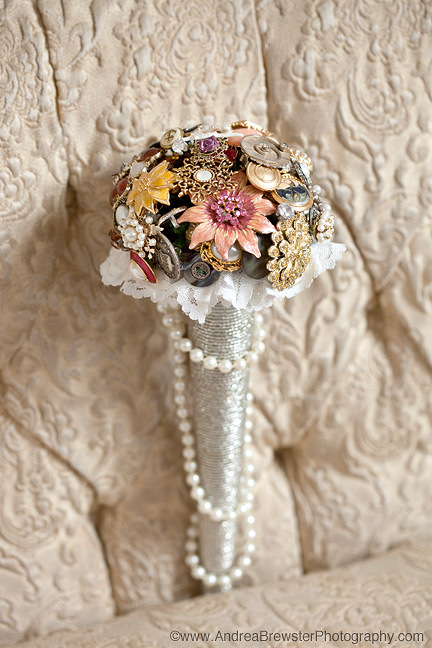 She takes a collection of brooches, baubles, and buttons from the brides family and assembles them as a collection to create the wedding bouquet. Talk about 'something old'! And will stay with you forever! Anyway, she asked if I would take a quick picture of this design. Nope, I said. Not here. I suggested we set up a time when we can do some really nice images. That bouquet is deserving of it! We chatted while I was doing my thing when she mentioned that she has only ever seen images of her work from a wedding by 1 other photographer!! I think I might have shook my head head back and forth with raised eyebrows in disbelief. On top of that I find out that she specializes in green weddings! Flowers that are succulents that can be planted and live on long after the wedding! At that same show, I also had a wedding minister ask me to take a quick picture of her at her booth. When I had a few minutes I went over to her booth and asked her if she would like to set a time that we could do some head shots. But that was not what she was wanting. She really only wanted a single image of her at her booth. I obliged. So let's get down to the why of this whole post, the benefits. Cultivating relationships with vendors takes time. The sooner you start the better. Eventually, they will lead to a relationship of trust, and ultimately, their recommendation. That's a huge one! 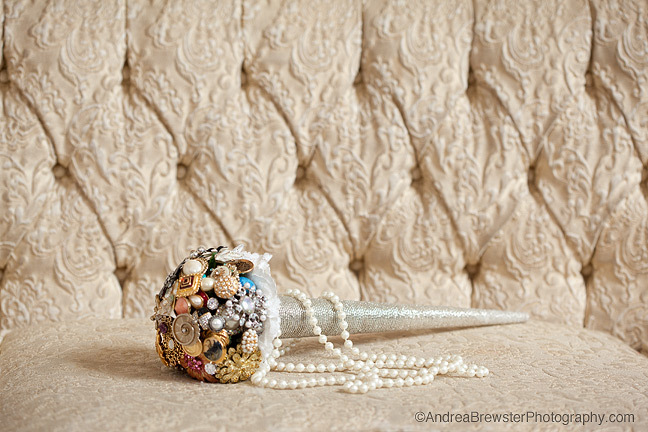 Also, brides love it when they mention who they are using as their other vendors and you know who they are. On the flip side, I've had brides ask for recommendations and it's nice to be confident in giving that recommendation. After getting to know them and seeing their work, I could comfortably recommend Jack and Jills Flowers and Jessica from TLE Weddings. Ultimately it's up to you how you want to take care of the vendors or thank them. It's also up to you if you decide to include watermarked or non-watermarked images. But no matter what you decide is your protocol, take care of those vendors!